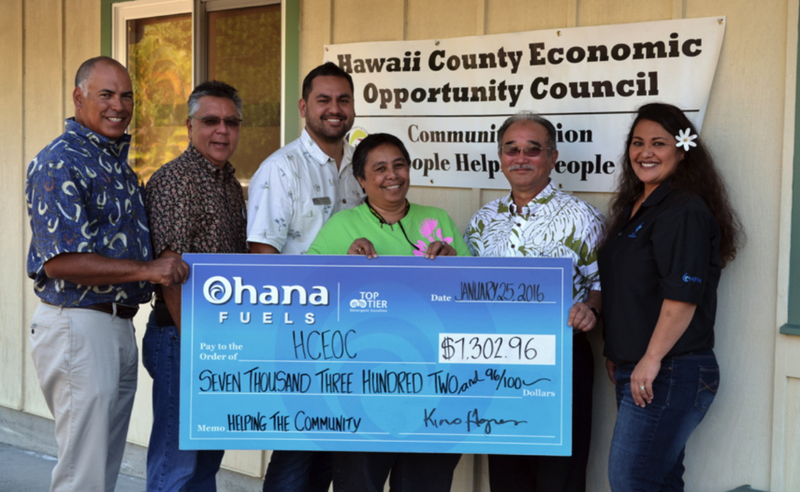 Hilo, Hawaii – HCEOC was the most recent beneficiary of the Ohana Fuels “Fuel up. Do good.” Community Giving Program. 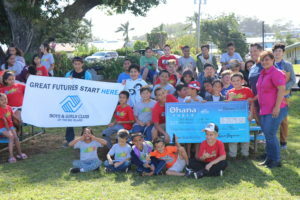 Ohana Fuels partners with nonprofit organizations that serve the needs of the local community, and donates a portion of every gallon of gasoline purchased at all Ohana Fuels stations in that community. 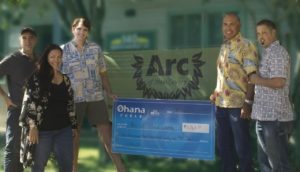 The total donation to HCEOC was $7,302.96 from gasoline sales during the 4th quarter at all Ohana Fuels locations and proceeds from the carwashes held during the quarter. HCEOC is a private non-profit 501©3 corporation started in 1965 in conjunction with Congress and President Lyndon B. Johnson’s war on poverty. As a Community Action Agency it has a tri-partite board of directors made up of government, community and low income board members and is dedicated to alleviating poverty on the Big Island. HCEOC provides transportation to Nutrition sites for seniors, cooks meals for the Meals on Wheels program for East Hawaii, works with the DOE on at risk students, and annually takes applications for the Low Income Home Energy Assistance Program (LIHEAP). The Board and Staff of HCEOC are grateful for the generosity of HFN in helping the vulnerable in our community, especially the seniors, disabled and disadvantaged. Jay Kimura said these funds go a long way in making the Big Island a better place to live for ALL our citizens. 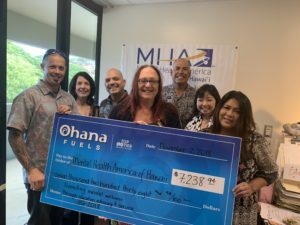 Ohana Fuels is Hawaii Petroleum’s retail fuel brand that provides competitively priced, quality fuels at safe, clean, and convenient locations including eight stations on the island of Maui, and eight stations on the island of Hawaii. Certified as a TOP TIER™ fuel provider, Ohana Fuels meets the premier standard of gasoline for optimum performance and fuel efficiency. Hawaii Petroleum is committed to making a positive contribution to the communities in which our Ohana Fuels stations operate, and gives local residents a way to support the community with every tank of gas they purchase.